I’m super excited (and relieved!) 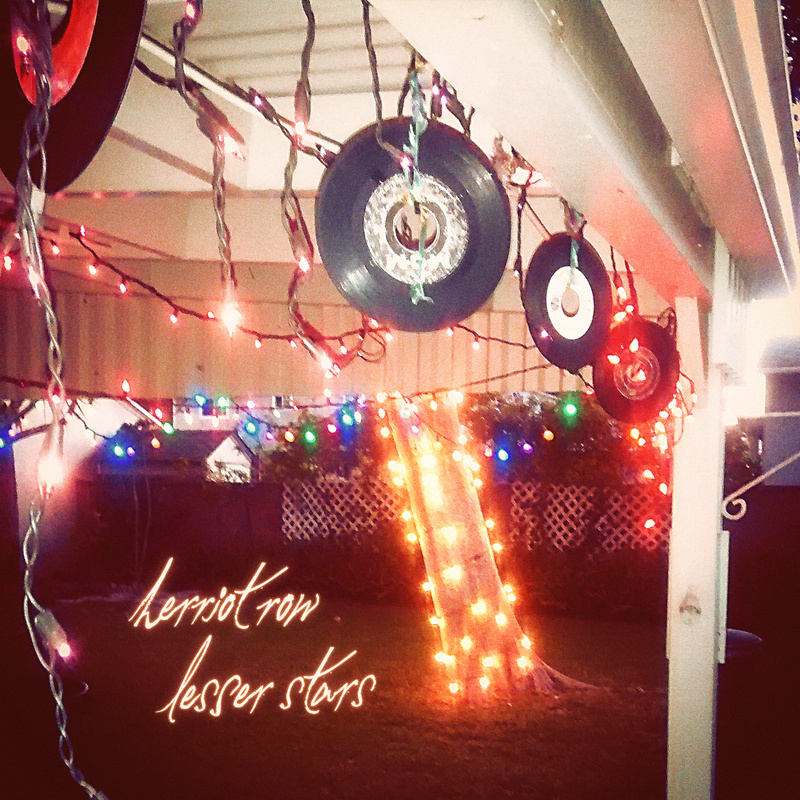 to announce that the new Herriot Row album Lesser Stars will be released in New Zealand on September 1, 2017. The CD and digital release is through my own label Carpathian Records, and the beautiful 180gm vinyl arrives courtesy of Rohan Evans and his vinyl label Arcade Recordings. CD’s and vinyl will be available to pre-order through my bandcamp, and distributed through all record stores nationwide by Southbound. The album title takes it’s name from ‘The Lesser Stars,’ a poem by New Zealand poet RAK Mason. Mason seems to lament his obscurity, stranded as he seems to be at the bottom of the world. It’s a stunning poem, and I thought the title had such a beautiful sound. It felt rich in implied meaning and irony without seeming to try. The cover is a photo I took outside Barbara Manning’s and Dan Vargas’ house in Long Beach, California, where I went to visit after finishing the recording sessions at Tiny Telephone Studios in San Francisco. It must have been over a year after the recording sessions, after all the usual doors I’d knocked on had proved to be still very much shut, that I found the photo on my phone. Those 7″ records, still harbouring peoples creative efforts carved into their grooves, had been repurposed into mere decorations, the songs etched into them long forgotten. They reminded me of Mason’s poem, and suddenly I knew what was going to grace the cover of this album, even if I still hadn’t decided just how I was going to get it out into the world. In advance of the album release, I’ve put out a second song, following on from last years ‘Learning Not To Talk.’ It’s called ‘Out Of The Ordinary, and you can stream it on Soundcloud, Spotify, or iTunes, where you can pre-order the digital album. I’m bringing my band (Dave Flyger on bass and Stu Harwood on drums) on the road to help spread the Good News! Pre-sale tickets are available now from Under The Radar. See you soon!